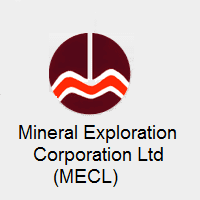 MECL Notification 2018.Mineral Exploration Corporation Limited has released a notification for the recruitment of Assistant, Technician, More Vacancies. Check the eligiblity and notification prior to apply for the positions. Last Date for Submission of Application is on August 16th, 2018..
1. The candidates interested in applying to the above posts are advised to refer the detailed advertisement on the MECL website at Career page for further infor mation regarding pay scales, eligbility criteria, educational qualification, experience, age and fry submission of online etc. 2. Candidates must apply mline through the website www.mecl.co.in only. Corrigendurn/arnendment, due date, if any, be notified only on the above website and will not be published in any other media ing newspaper. 3. The date Of commencement Of online registration for submission Of application is 16.07. 2018 and the closing date is 16.08. 2018 after which the link will be disabled and no other mode of application is acceptable.